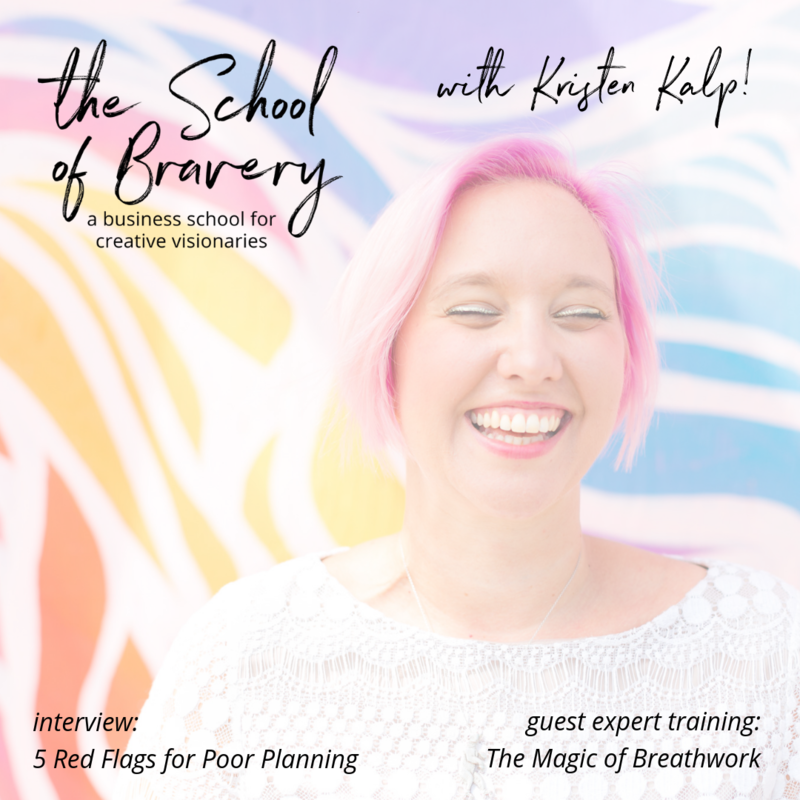 This week we get to welcome Kristen Kalp (of the podcast That's What She Said) to the School of Bravery! Because this month's theme is Imagination & Reading Shadows, she and I talk about playing whack-a-mole, unexpected successes & failures, going into "bunker mode," what it's like to lose your marriage AND lose $43k to incorrectly reading shadows! We also cover 5 red flags to watch out for when you're making plans for big things! As a guest expert, Kristen is teaching students of the school of bravery her breathwork framework! I am so excited about this! Students can access her bonus interview and training in their student portal. Kristen Kalp is a healer, writer, and business coach. She creates books, breathwork, and retreats that help peeps get in touch with and stay true to their deepest selves -- not their popular-on-Instagram selves or 'professional' selves or 'what would be most profitable' selves, but their *soul* selves. Emily Ann Peterson is a singer/songwriter, bestselling author, teacher, speaker, and consultant.